“Romantic Travel Specialist” Renee Meyer first started assisting couples in planning their Honeymoon in 1985, while she was working for a very successful nationwide singles organization. As a former professional Figure Skater, Renee had the opportunity to Travel extensively, gaining first hand knowledge of many worldwide destinations. Her love of Travel and Romance was the inspiration behind Unforgettable Honeymoons – which Renee opened in 1994. Unforgettable Honeymoons has grown to become one of the Nations leading Honeymoon specific Travel Agencies, and has also been featured on the Dr. Phil Show, in Newsweek, USA Today, LA Times, Islands Honeymoon & Weddings magazine, plus many more. 1): Do Always use a reputable travel professional to help you plan your honeymoon, make sure they are well traveled, and can speak from real travel experience, not from reading out of brochure. 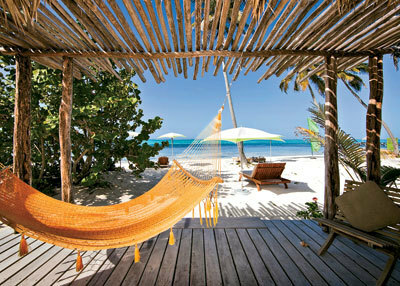 3): Do sit down with your fiance and make a list of the three “must haves” for your honeymoon destination, and resort. Plan it together, and have a goal to choose a spot that suits both of your preferences. 5): Do consider going to your dream location for a shorter stay ( 4 or 5 nights) instead of settling for a second choice honeymoon or a full week. You won’t regret it. By Unforgettable Honeymoons -“The Romantic Travel Specialists”! The Honeymoon- The most important trip couples take in their lifetime! Every couple wants their Honeymoon to simply be unforgettable, and to be the most memorable, romantic, exciting trip to begin their life together. How do couples make sure that their Honeymoon will meet and exceed their expectations, when there are so many choices- The internet can be confusing, web sites can often be misleading, and photos are not always accurate depictions of what you’ll actually see once you arrive at your dream location. Many couples make the mistake of choosing a honeymoon location based on photos alone, believing that the beauty of a location will be all that they need to have a wonderful honeymoon experience. Some couples take their friends advice, who may or may not have the same tastes in luxury or service. Many couples also put too much trust review web sites that cannot always guarantee the authenticity of their traveler’s reviews. After researching, and planning thousands of Honeymoons since 1994, Unforgettable Honeymoons® has pin pointed many locations and resorts that have consistently delivered an experience that has met or exceeded thousands of client’s expectations. Fiji is one of the worlds most beautiful island groups located in the South Pacific, and located in Fiji, lies Qamea Resort and Spa, truly is one of the most magical spots in the world, it is a heavenly place where time has stood still. Only 17 couples can stay here at one time, Fiji’s 12th largest island, an exclusive hideaway that caters to couples. Qamea offers luxury & privacy, as well as an all-inclusive experience, all the meals, most drinks, and most activities are included. Honeymooners can relax and kick back and do nothing, or partake in a variety of fun, romantic, and exciting activities such as: Incredible snorkeling off the beach- an under sea aquarium one of the best in the world, Spectacular hiking to world famous waterfalls, A private picnic on their own beach for the day, Couples massage + body scrub in An exotic jungle spa complete with private bungalow treatment rooms, Romantic private dinners on the beach under the southern sky. The stunning scenery will not let you put your camera down, its truly a photographers dream. located in the Caribbean is a unique stunningly beautiful island known for “Les Pitons” twin volcanic peaks that once you see you’ll never forget. Ladera Resort + Calabash Cove are two resorts on this spectacular island that never disappoint. Ladera is one of the most unique hideaways in the world, exotic open air suites with plunge pools face the ocean surrounded by the world famous Pitons, You will not want to get out of your bed at Ladera, the views are unreal. It is simply one of most amazing views in the world. Calabash Cove, a luxury couples boutique hideaway in St Lucia is located on a picture perfect white sand beach, and offers beachfront Balinese cottages all with personal plunge pools. Couples can choose an all-inclusive plan at Calabash Cove, and free their mind of all economic decisions while enjoying privacy in their own beach love nest. The BVI’s are some of the most spectacular unspoiled islands in the Caribbean, home of the world famous “Baths” at Virgin Gorda. Within the BVi’s lies a special island hideaway, Peter Island. This private island resort has some of the most pristine beautiful white sand beaches in the Caribbean, and the resort itself offers couples privacy, luxury and all meals at a reasonable price. From Peter Island you can explore the Baths at Virgin Gorda, the island of Tortola which has some ancient sugar mill ruins and great shopping, and take many island hoping trips by ferry or boat. Highlights: Private beach drop offs with your own picnic (included) Sunset viewing nightly at the top of Peter Island ( free shuttle nightly, option to have champagne and fruit delivered) The amazing spa that has its own beach, lovely beachfront suites with full views of the ocean. Always a guaranteed wonderful honeymoon spot, you cannot go wrong with Maui for a fantastic honeymoon destination. The Ritz Carlton Kapalua offer honeymooner’s a taste of the true tropical Maui paradise, without the crowds. It is off on its own, surrounded by nature (not cement high rises!) The Ritz is elegant, blends in with the natural landscape, and has 3 beaches within walking distance of your room or suite (the world famous DT Fleming beach is a 3 minute walk from the main resort) Couples can take hikes, see sea turtles, and explore lava cliffs without having to get in a car and driving anywhere, its all right there in Kapalua. Highlights: luxury rooms and suites all with hard wood floors, marble baths and KING beds (hard to find in Hawaii!) Elegant Pool area with friendly staff that fetch you delicious drinks and scrumptious snacks, Club Level rooms that offer complimentary light dining and drinks, including alcoholic ones, Nature trails, hikes and secluded beaches all make for a less touristy Hawaii option. If you are going to venture to Italy, why not start at the most romantic and spectacular location Italy has to offer. Hands down, the Amalfi coast line, is a feast for the eyes and soul. You will be instantly captured by the beauty of this area! Then, there is the food, the hand made pasta, the wine, and the bread. ( Go on a diet before you go!) In this area you will find Naples, Sorrento, Positiano, Isle of Capri, Amalfi and Ravello. The most magical place is Ravello, Ravello is a hilltop ancient village that offers you a glimpse of ancient times- Stroll through the cobblestone streets and peruse the shops and visit the incredible gardens. It’s a photographers dream. Our top picks for this destination: Positano- Il San Pietro Di Positano, Hotel Caruso, Ravello, Excellesior Vittoria- Sorrento. Just mentioning the world Bali makes most of us imagine and dream of a far away locale filled with beauty, and and interesting diverse culture. Bali consistently delivers a dream exotic honeymoon experience again and again. First of all, couples will absolutely love the super luxury, over the top accommodations Bali has to offer such as the Aman Hotels, Amankila being my favorite. The level of luxury is unsurpassed. The staff anticipate your needs before you ask. can discover ancient temples, ride bikes through local villages, mountain top breakfasts, and luxury boat cruises. Exotic Thailand is the land of smiles, everywhere you look, you are greeted with a gentle smile – sabadee ka – which means welcome. For couples seeking a truly exotic honeymoon spot, this location delivers the goods. Dreamy suites with exotic beds, and baths, spas found nowhere else in the world, food to die for. Truly and exotic wonderland for lovers and honeymooners. We recommend couples do a multi destination trip to Thailand, visiting Bangkok first, then the Golden Triangle ( where Burma, Thailand and Laos meet) and a beach location our top pick Phuket. 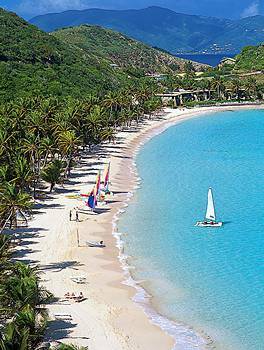 Hermitage Bay, Antigua: if you have ever imagined your own Caribbean hideaway, you will swoon upon arrival at Hermitage Bay. Hidden away on a stunning bay on the west coast of Antigua, this singular resort boasts just 25 individual Cottage Suites, blended into the natural landscape. Your sublime retreat might reside on the beach just steps from the water, or it may be tucked into the hillside with its own plunge pool. A casually elegant beachfront restaurant focuses on locally sourced ingredients, and a discreet, attentive staff tends to your every need. Zoetry Paraiso De La Bonita is a fabulous ultra luxury hideaway is absolutely perfect for any couple seeking the highest in luxury and privacy for a Mexico honeymoon. This is a beautiful Boutique resort with the only thalassotherapy center in North America Located in Petempich Bay, just 12 miles from Cancun, this intimate resort offers spectacular views of the Caribbean Sea from every suite. 90 spacious suites reflect influences from around the world. All first-floor suites have plunge pools. An isolated sugar-white-sand beach extends over a half mile. Guests may enjoy a morning or sunset sail on board La Bonita catamaran. Couples Swept Away is awash in romance and privacy. Here, you’ll find all the amenities and options you could ask for—in an idyllic setting that exceeds that of any Negril hotel. With acres of breathtaking white sand beaches, a bounty of tropical gardens and an ambiance drenched in romance and escape, Couples Swept Away redefines your idea of paradise.